I first encountered the name “Canaday” in the mid-1980s when I went to Bryn Mawr College for graduate school. Although we did most of our work in the seminar rooms above the Art and Archaeology Library (now the Rhys Carpenter Library), for books and periodicals about history or classics we had to go to the “big library,” which was none other than the Mariam Coffin Canaday Library. An ink drawing of the Canaday House at the American School of Classical Studies at Athens. ASCSA Archives, Doreen Canaday Spitzer Photographic Collection. Finally, in the summer of 1990, while digging at Mochlos on Crete, I met Doreen Spitzer on one of the “On-Site with The American School of Classical Studies at Athens” trips that she had been organizing for years, but without realizing that Doreen Spitzer’s maiden name was Canaday. It was only after I started working as the School’s Archivist that I became aware of Canaday Spitzer’s long legacy at the American School. Doreen Canaday Spitzer (1914-2010) served as a Trustee 1978-1996, President of the Board of Trustees 1983-1988, Trustee Emerita from 1996 and President of the Friends from 1988 until her death in 2010. (There is a thorough biographical essay about Doreen Spitzer by Catherine de Grazia Vanderpool in AKOUE 63, Fall 2010.) Her father, Ward Canaday (1885-1976), had also served as a Trustee of the School for almost four decades starting in 1937. Doreen Canaday Spitzer listening to Manolis Andronikos, excavator of the royal tombs at Vergina, 1981. (Between them, barely visible, Machteld Mellink.) Source: ASCSA Archives. “Following a decision by the Board of Trustees at their November 1997 meeting, the U.S. base for School activities since 1974, was put on the market and sold in May for $5,850,000.” This story appeared in the summer issue of the 1998 ASCSA Newsletter (“Mayer House Sold,” no. 41, p. 4). By then, the U.S. base of the American School of Classical Studies at Athens (ASCSA or School hereafter) had already been transferred to Princeton. That fall I was invited by Catherine Vanderpool, the School’s Executive Director in the U.S., to visit Princeton for two reasons: to meet Homer A. Thompson who was contemplating the idea of leaving his personal papers to the School (which he did) and to examine a large number of boxes containing the administrative records transferred to Princeton after the sale of the Mayer House. Many of the records had been damaged by flooding that precipitated the sale of Mayer House. Mayer House, entrance. Photo: Natalia Vogeikoff-Brogan, 2014. “The island of Skyros is fairly remote and inaccessible, on account of the winds. 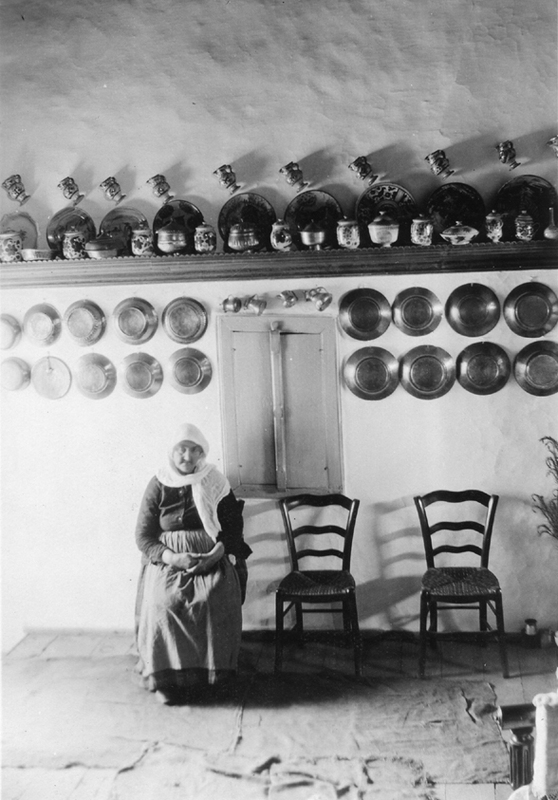 One consequence of its geographical location is that there is very little information about the island in the ancient authors, and the picture also given by the travelers is also fragmentary,” archaeologist Efi Sapouna-Sakellaraki could write in her archaeological guide to Skyros, as recently as 1998. Before her, American archaeologist Hazel Hansen, in writing about prehistoric Skyros in 1951, similarly described the island as “one of the most solitary islands in the Aegean for nearly all the other islands are nearer to one another or to the mainland.” Its isolation and the capricious sea between it and the mainland and Euboea are the reasons why Skyros is far less frequently visited…”. This is the question that Doreen Canaday Spitzer, President of the Board of Trustees of the American School of Classical Studies at Athens (1983-1988), posed in a memo to board members on January 25th, 1988. But why would the School ever consider putting up its valuable possessions on the market (the others mooted for sale included Amory Gardner’s portrait by Anders Zorn and a Tiffany lamp once owned by Carl and Elizabeth Blegen)? Because there was immediate pressure to secure funding for the construction of the New Extension of the Blegen Library. 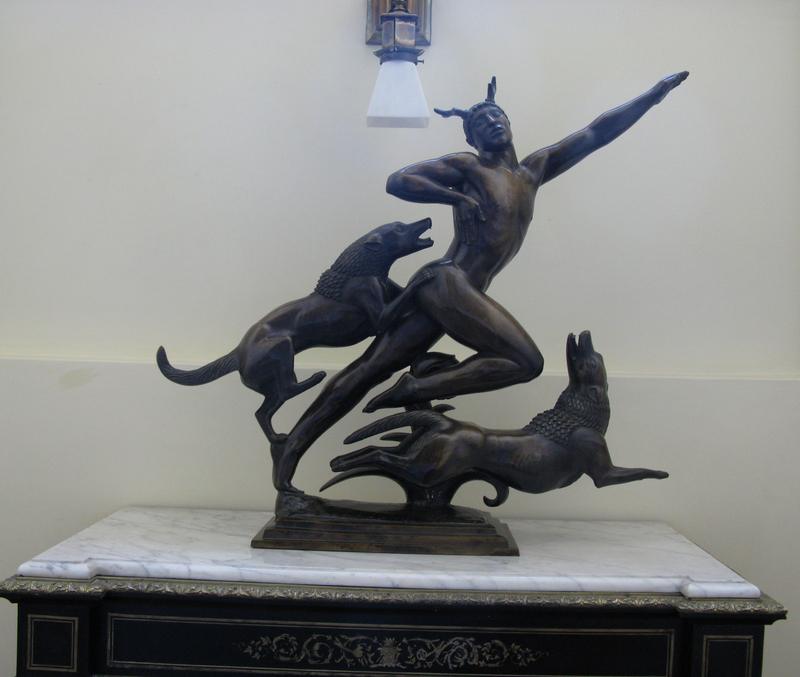 It was Richard H. Howland, former chairman of the Managing Committee and Trustee of the American School, who brought Doreen’s attention to the significant value of Paul Manship’s bronze Actaeon and the financial benefits the School would gain from its sale.